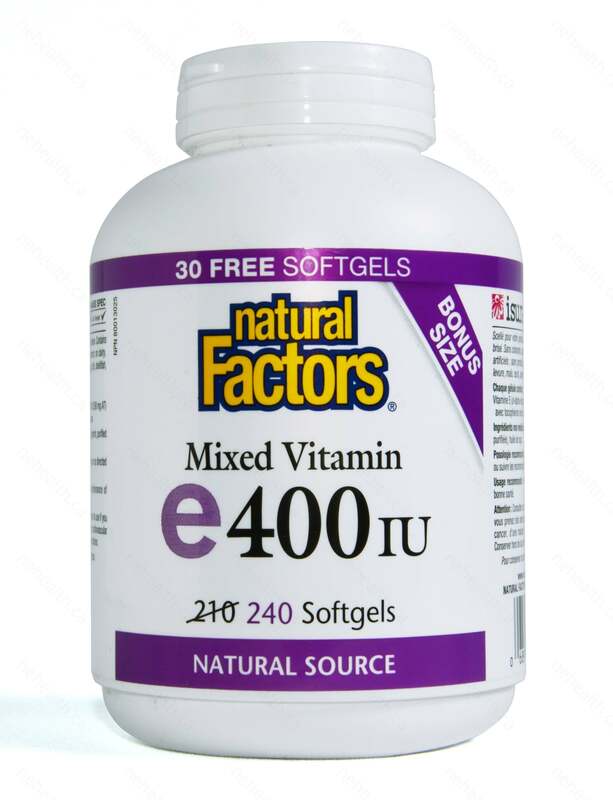 Natural Factors Vitamin E Mixed 400IU protect your cell membranes from pollution, toxins, and free radicals. Vitamin E may help protect against cardiovascular disease, cataracts, some cancers, premature aging and other chronic degenerative diseases. Vitamin E will also protect other vitamins from oxidation. 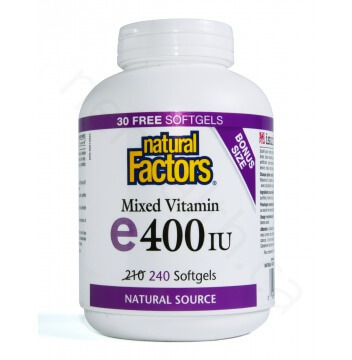 Natural Factors Vitamin E Mixed 400IU is a form which includes mixed tocopherols (alpha, beta, gamma, and delta) and may contribute to a greater health effect than alpha-tocopherol alon. Men and women who supplement at least 400 IU of Vitamin E per day have a 37-41% drop in risk associated with heart disease. CHAOS (Cambridge Heart Antioxidant Study) reported a 77% drop in non-fatal heart attacks when people were given 400-800 IU of vitamin E per day. 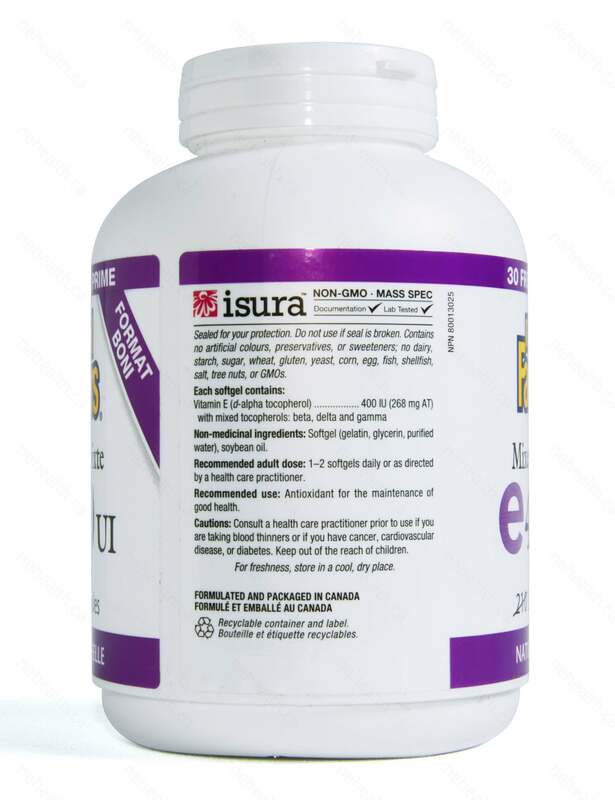 Vitamin E is a strong antioxidant in lipid body tissues and acts are the main defense against lipid peroxidation, particularly in the brain and central nervous system. People who live in the city or other areas where there are higher levels of pollution benefit from the elmination of free radicals provided by Vitamin E. Natural Health experts agree that it’s difficult to obtain the daily recommended dosage of Vitamin E in a normal diet. Therefore it’s recommended to supplement Vitamin E to ensure optimum health.